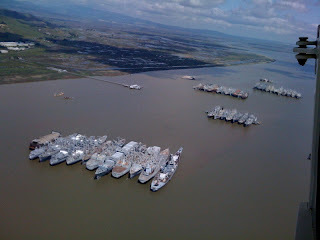 Naval mothball fleet. This is amazingly cool to fly over. 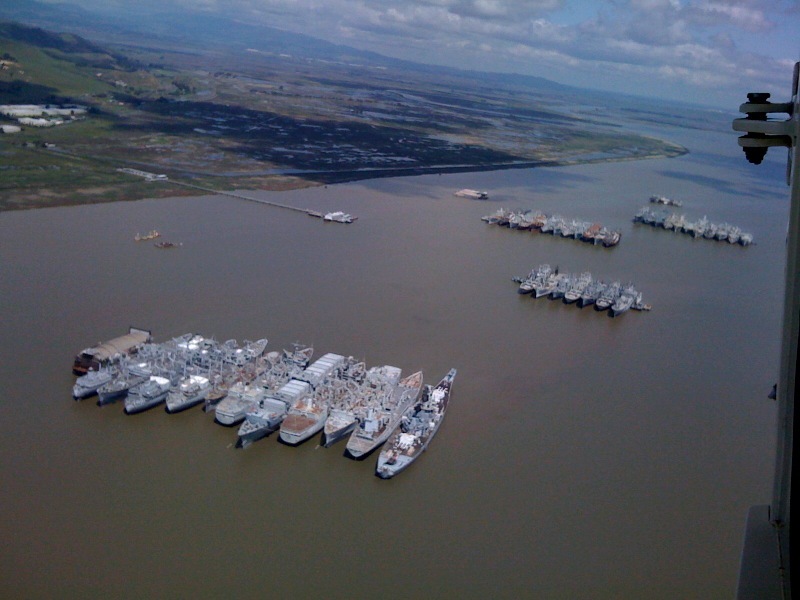 Look at the group of ships closest to the camera. That last one on the right? That's the WWII battleship Iowa, BB-61.